A personalized brick with your name and initiation year is a perfect way for you to make a contribution to the courtyard, and is also a perfect gift for any current initiated Gamma Zeta member or proud alumna. The brick will be added to the Chi Omega Courtyard located adjacent to the Ottenheimer Library on the Alumni Plaza. 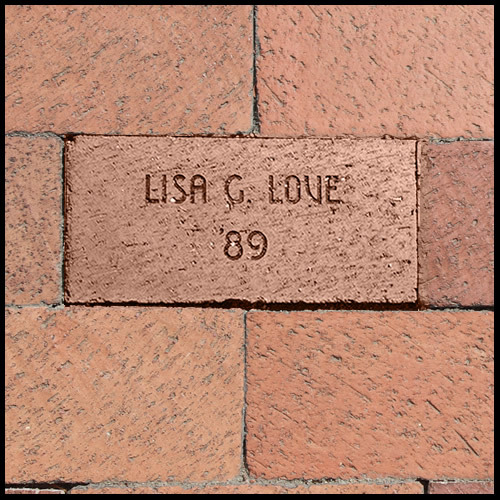 You can customize your Chi Omega brick to include your name and initiation year. You have a limit of 3 lines, 15 characters each including spaces, for the brick. Brick orders must be received by 3-15-18 for the bricks to be in place for the May graduation.